Humans have always been fascinated with science and technology, with each succeeding generation exploring beyond what their predecessors had done. In the ancient world any unusual object built by man was considered a wonder, and the famous list of seven wonders (such as the Colossus of Rhodes) was created. Throughout history, new lists have been compiled with more wondrous inventions highlighted. We currently live in a new age of wonder where every innovation becomes the stepping stone to even greater technological advances. Children of today live in a constantly changing world that is rapidly producing too many “wonders” to list. Technology created when their parents were their age is now obsolete. In his book Seven Wonders of Exploration Technology, author Fred Bortz introduces young people to today’s visible and hidden wonders by exploring the technology that has significantly aided the pursuit of our expanding knowledge of Earth and space. The book provides a concise explanation of the “wonders” while being visually pleasing, with color photographs to enhance the understanding of definitions and concepts that young readers might be unfamiliar with. For example, there is a brief discussion of the difference between red shift and blue shift in the study of the universe. There is also a glossary and a bibliography, including a pertinent website, for further study. The book begins with a chapter entitled “Undersea Exploration,” a subject that the reader might find familiar, and concludes with a discussion of “The Large Hadron Collider,” which studies the tiniest parts of atoms. 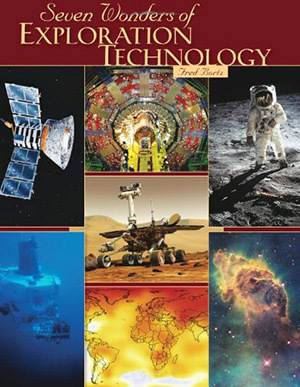 In each of the seven chapters the science is discussed first, followed by a more in-depth discussion of the technology that has been created to explore the topic. At the conclusion of the book, the author challenges readers to research and find an eighth wonder to whet their appetites for further scientific explorations as they mature. 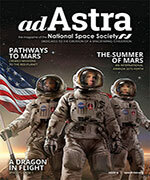 Future space scientists should especially enjoy the chapters on undersea and lunar exploration. 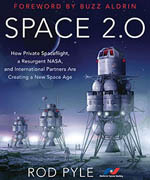 Both chapters explain how the challenging environments in which humans cannot survive unaided — one of intense pressure and the other requiring travel through the vacuum of space — led to inventions and discoveries such as the “ALVIN” deep submersible vehicle and an understanding of how impacts shaped the geology of the Moon. A chapter on Earth’s climate emphasizes the role of ever more sophisticated satellites and computers in building climate models to predict and study atmospheric effects and climate change. A chapter on interplanetary exploration gives ample evidence of how studying other worlds such as Venus and Mars gives scientists insight into our planet and our climate. Later chapters cover the Hubble Space Telescope and how orbiting telescopes like Chandra, the Compton Gamma Ray Observatory, and the Spitzer Space Telescope are photographing and mapping the universe, providing astounding views of the cosmos free of atmospheric distortions. The final chapter is devoted to exploration of the subatomic world, explaining how modern accelerators and colliders operate and provide scientists with a better understanding of how our universe formed and what propelled the big bang. I would enthusiastically recommend this book to parents and teachers of children in the targeted 10 to 14 year age group. The book is likely to capture the interest of young readers and encourage them to choose careers that foster the development of new technologies that will further our drive to explore.